The BF200 Blown Film Gauge retrofits easily to existing blown film lines, and it measures blown film with market leading precision. 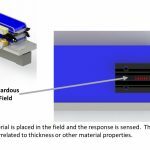 It consistently holds calibration to deliver an accurate measurement even on the thinnest films and is designed to be easy to use and durable in harsh and dirty environments. 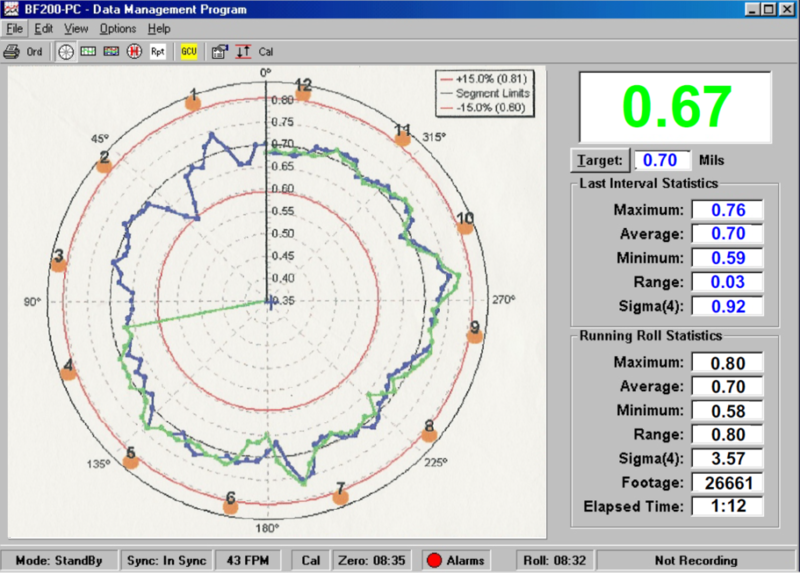 Along with monitoring the shape of the bubble, and it has the unique ability among capacitance gauges to provide average thickness control . The BF200 is a much more economical alternative to on-the-bubble gauging systems due to it’s lower capital and installation cost. Totally non-invasive – won’t disturb bubble and won’t mark film. 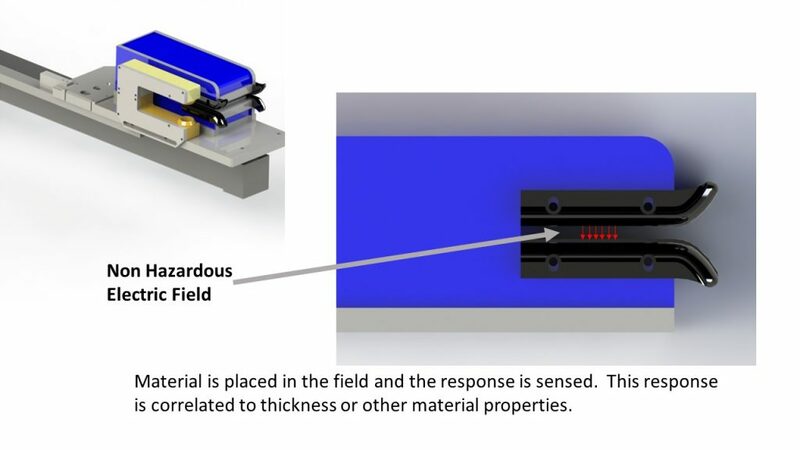 The blown film process has many variables that affect film thickness. This complexity puts a large burden on the operator as he tries to achieve on-target thickness. 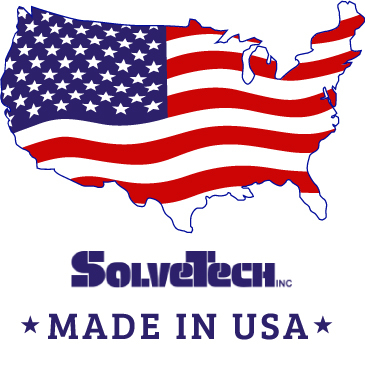 SolveTech’s breakthrough technology has opened the door to significant improvements in your production. 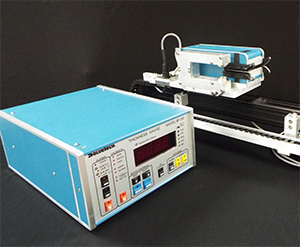 The BF200 Blown Film Gauging System is an affordable tool that combines reliable thickness readings with simple, trouble-free performance. 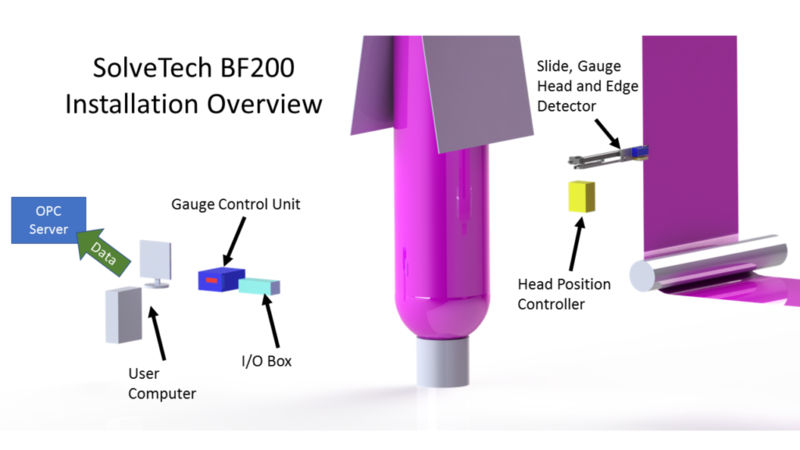 Adding a BF200 Blown Film Gauging System to an existing extruder is a good way to get the most out of your equipment. It will help you generate significant savings in time and material. Catch upsets or drifts that may occur and get operator feedback that enables quicker set-ups. 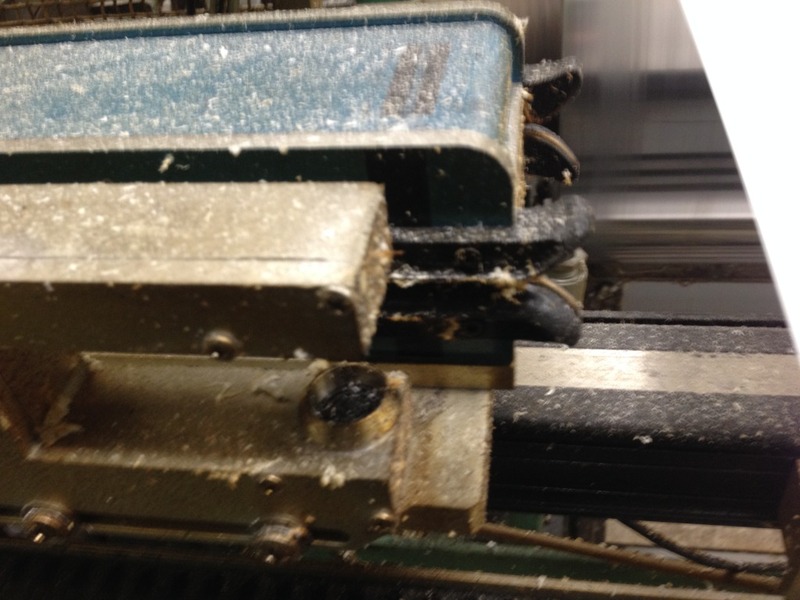 This proves to be a cost-effective way to improve quality and reduce scrap. 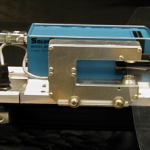 In 2009, SolveTech found the mean time between failures to be 120,000 hours based on a sample of 5 million operating hours on blown film lines. The system is designed to handle tough environments, and it is designed to negate any dirt, changes in temperature or changes in humidity. It is also simple to operate and maintain, basically requiring little to no regular maintenance. SolveTech systems are designed to last and have run in the field for over 25 years. 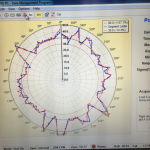 The picture below shows a graph of the unit with a stationary film sample inside the gauge head. As shown below, the measurement stays stable over 4 hours of operation in this example. 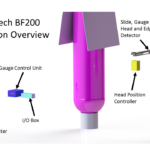 BF200 Measurement Head: Non-invasive and non-nuclear. This precision head won’t disturb bubble or mark film. No worries about interfering with product or process. Provides outstanding reliability. BF200 Gauge Control Unit: Provides power and signal conditioning for the Measurement Head, as well as secondary displays and controls for the operator. 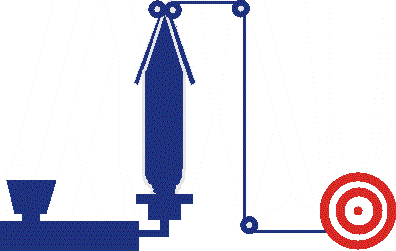 PC-Compatible Gaugeware Software Package: Provides all of your thickness information needs. 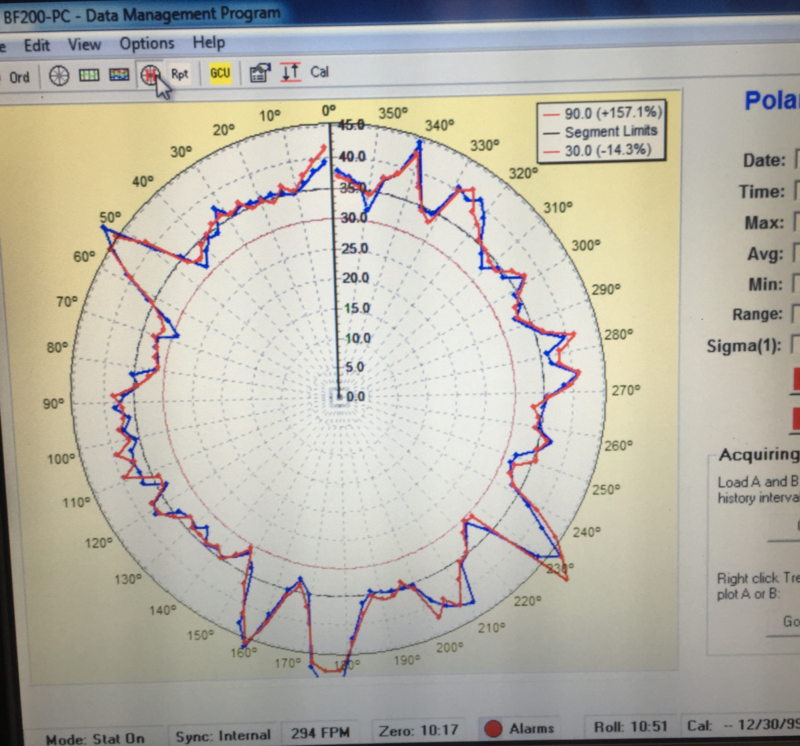 Includes information for process set-up, process monitoring, process troubleshooting/studies, and QC on a per roll basis (computer not included). 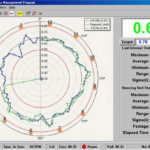 This program is easy to use, yet offers tools to satisfy the most demanding user. Roll reports and printable screens give you the ability to show your customer the quality of each roll you produce for them. Customize your BF200 with options such as Feedback Control, Encoder, or Analog Output. 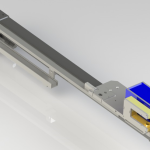 We are willing to work with you to make a system that fits your blown film gauging needs. You can learn more about what the BF200 can do for your plant operations here. 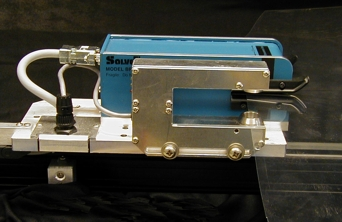 Automatically provides full thickness information for operators, process engineers, and quality control personnel. 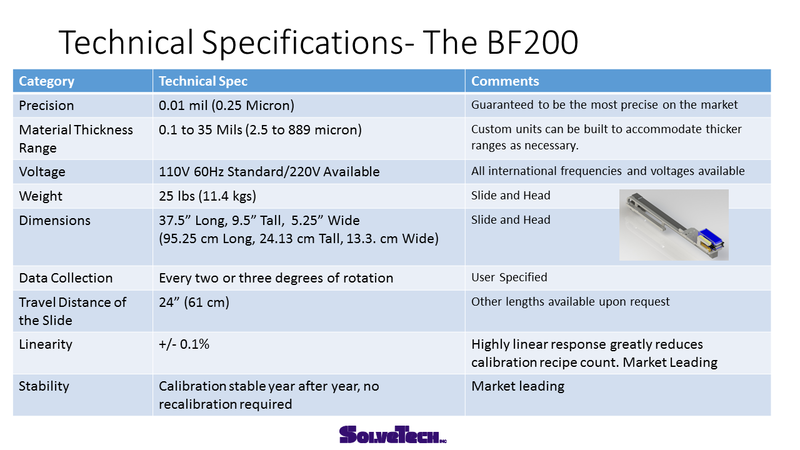 Two BF200 Profiles Overlaid- Repeatability proves you are getting an answer you can trust! The BF200 is a complete turn-key retrofitable system. 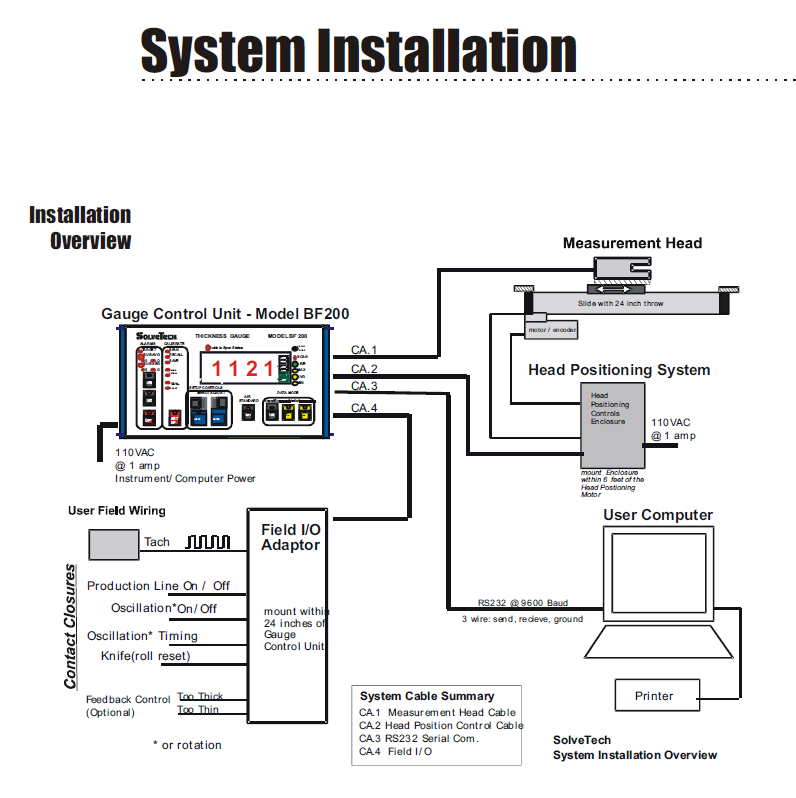 SolveTech provides the scope of supply shown below with the user typically supplying their own computers. 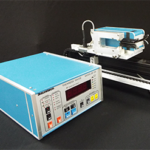 The technology can only measure non-conductive materials, and it cannot measure metals or foils. 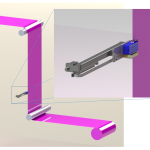 The unit measures one spot along the edge, so the line has to have a rotating/oscillating die or an oscillating haul-off to generate a complete profile. 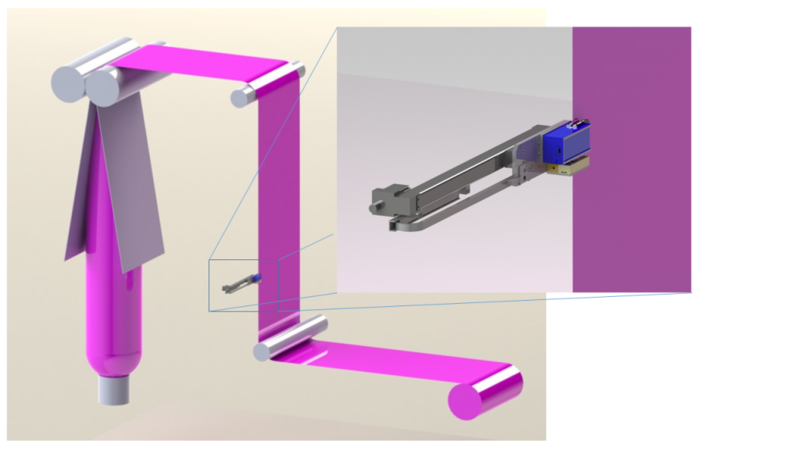 The unit tracks the rotation and generates a profile as the film rotates through the gauge. 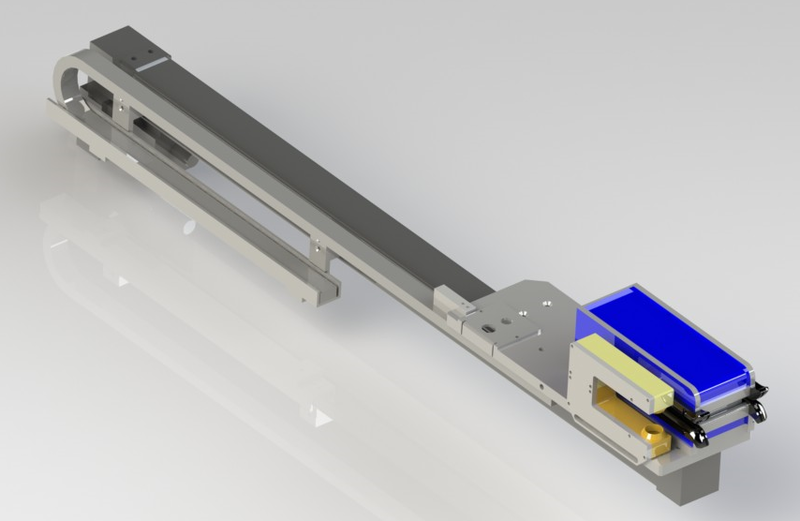 If you have more questions about the product being a good fit for your production line, contact us here. 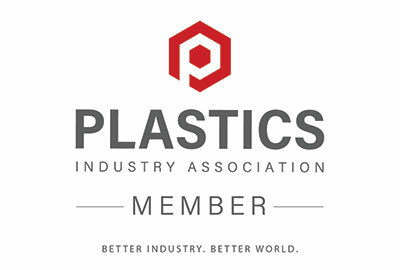 You can see a case study in Canadian Plastics here discussing the BF200 in action at a plant site. Contact us here to discuss your blown film installation. 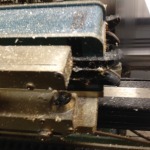 We can look at the characteristics of your blown film line and determine if the BF200 would be a good fit.